This Weleda Sampler Pack contains 5 of Weleda's most popular products in trial/travel sizes and is an ideal and economical way to try these skin-loving products without having to purchase full-size items. Made in Germany, NATRUE Certified Natural with Organic Ingredients, GMO & Cruelty Free, Vegan, Certified Biodynamic & Fair Trade. 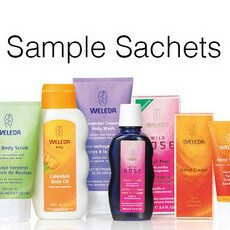 I'd tried the Weleda Bumper Satchet Pack and loved some of the items, so thought I'd get four sets of these as samples to gift family members. Sadly, they all came loose in the main package (with other items ordered) and there were handful of their little boxes that were crushed. So I ended up having all these sample sized items that I can't really gift others. A bit disappointed about that. 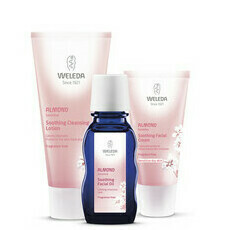 Thanks for doing samples .. the hand cream and body washes were lovely.